An attractive and unique design with a distinctive roof overhang on the front, the Quaker has 7’ front and 6’ back walls with sidewalls arching up to the overhang. 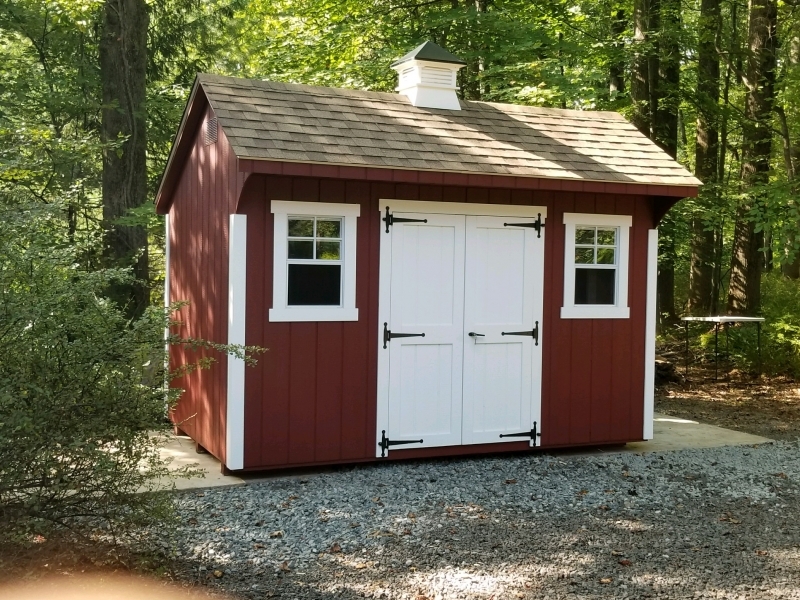 The Quaker has a 7” roof pitch, and it comes standard with 1 or 2 windows, based on size, and a set of double doors placed to order. 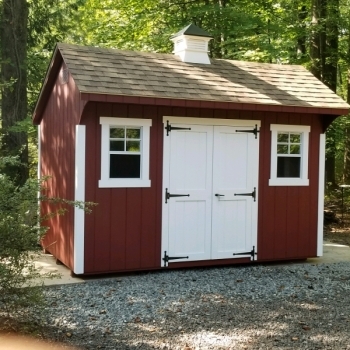 The Quaker features plenty of headroom allowing the addition of a loft for maximum storage space.